Resource Furniture is ringing in the new year with a preview of three new space-saving products. 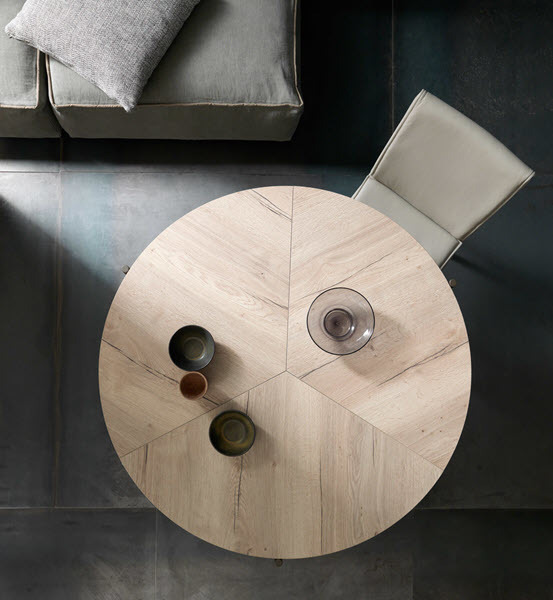 The Cosy sectional sofa, Triplo Freestanding media unit, and Icaro transforming dining table are just the latest additions to our unmatched collection of Italian-made, multi-functional furniture. 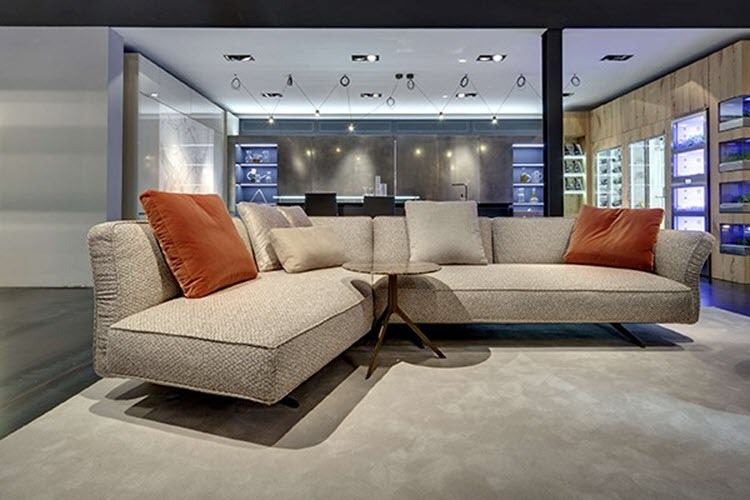 Technological innovation and contemporary European design come together in the Cosy, the latest creation from Art Nova, manufacturer of the award-winning Flex Air sofa. 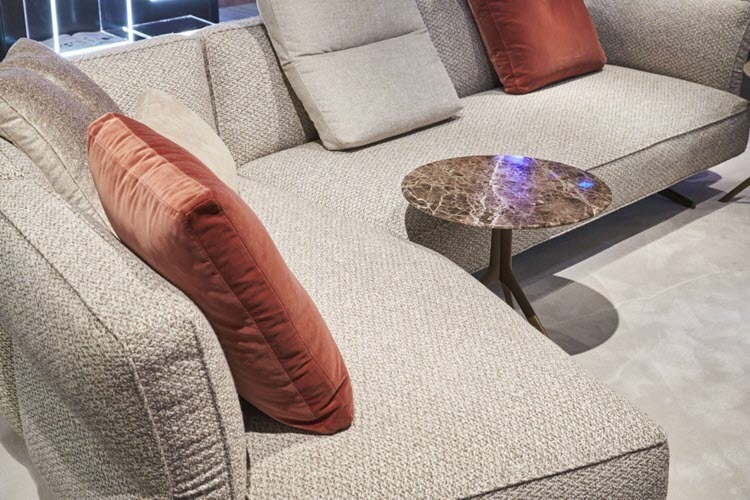 Its discreet base provides the illusion of the sofa being suspended in midair; adjustable arm- and back-rests allow for maximum comfort and configurability. Sectional islands can be added and rearranged to allow for an infinite variety of uses within your space. 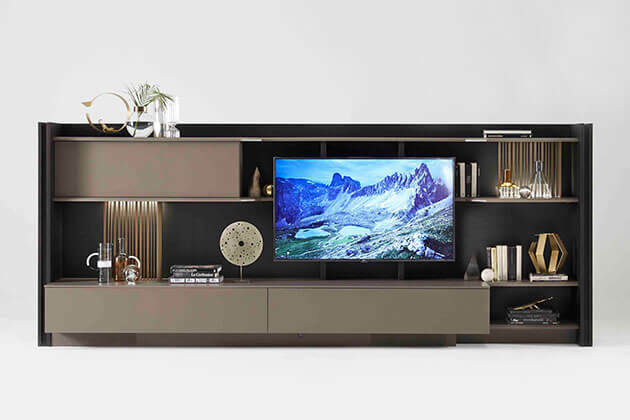 The Triplo Freestanding is a media unit with built-in shelving and storage drawers — optional desk, bar, lighting, and decorative bronze accents are also available. 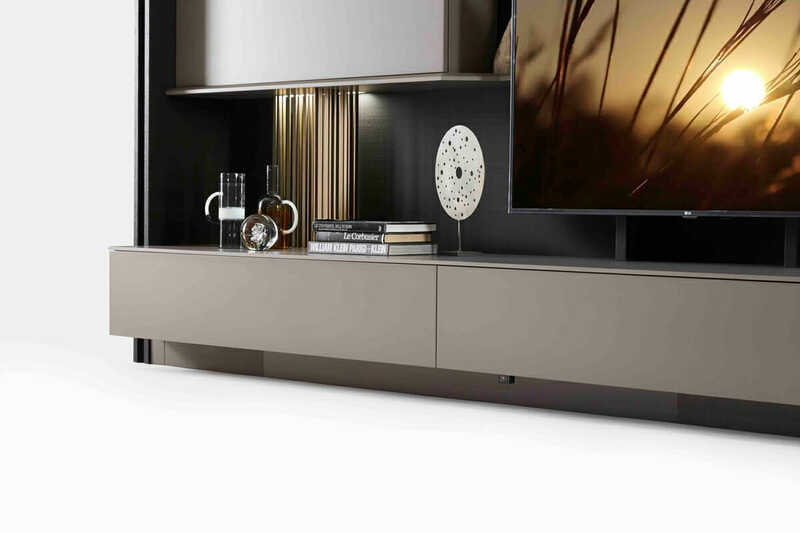 Triplo can accommodate a TV or short-throw projector while cleverly concealing all the wires, cable boxes and other AV components for a tidy, streamlined look. Pair with a bookshelf or boiserie for additional display and storage space. 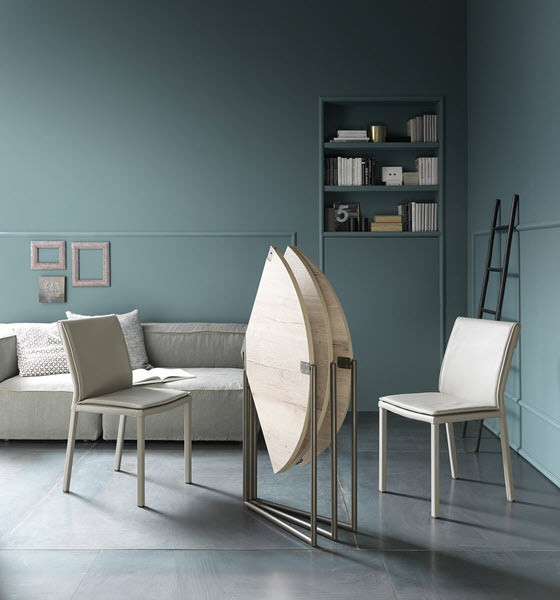 The Icaro is a revolutionary concept in transforming tables; its round top is divided into three sections that fold together for easy transport or storage. When closed, the Icaro measures a little over 3” in depth, which means you can stash it in a closet when not in use. Open it up and it turns into a round table with a 47.25” diameter. 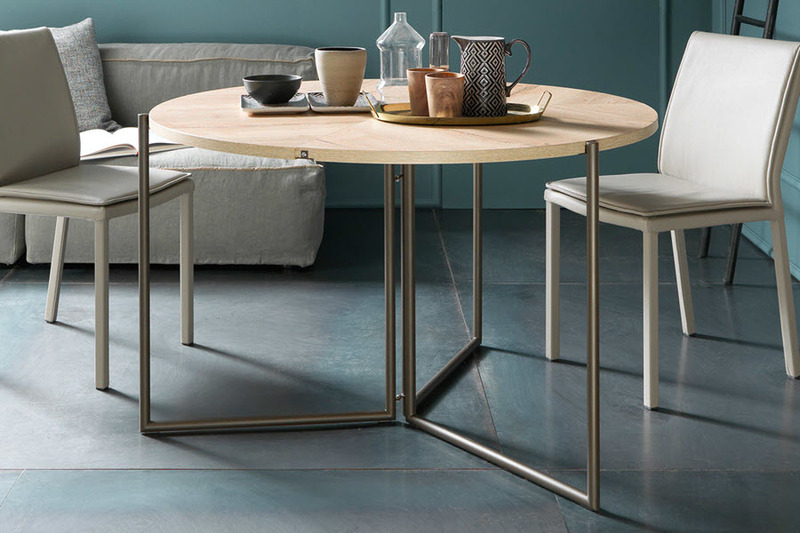 With its tubular-shaped metal base the Icaro exudes a sleek, modern look rarely found in conventional folding tables. This table is ideal for small spaces and gives any room a rustic-industrial vibe. Beyond their contemporary aesthetic, these products are designed with lifestyle enhancement in mind. 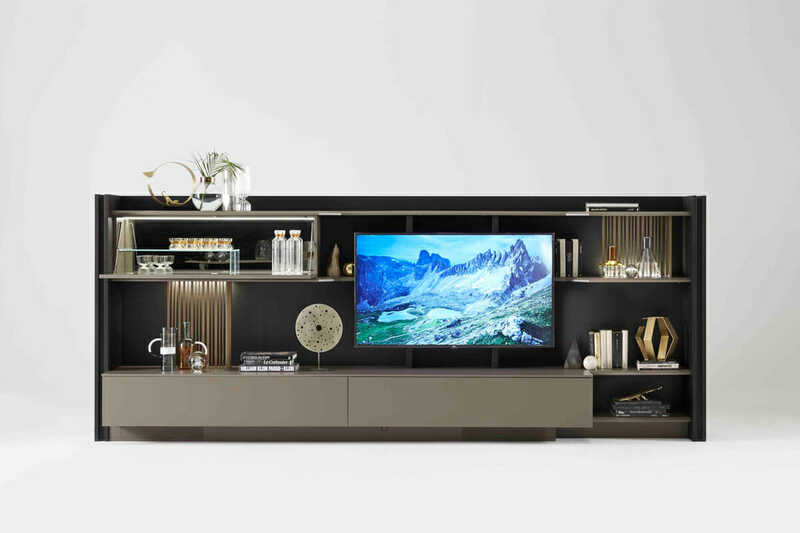 With their multiple uses and configurations, they allow for a more efficient and intentional uses of space—an absolute necessity for those who live in areas where space is at a high premium.